After I read Tell Me A Secret (review here), I’d more or less sworn off of books that tried to imitate the niche genre highlighted by Gillian Flynn. Which is why I picked up The Woman In Our House with some reservations. The blurb was intriguing, but would the book focus more on the thrill factor as I’d hoped or go down the rabbit hole of a main female character’s self-pity was something to be seen. Thankfully, it met expectations. And made for a captivating read. Before I go ahead, I’m sending NetGalley a big thanks for an ARC of this book! 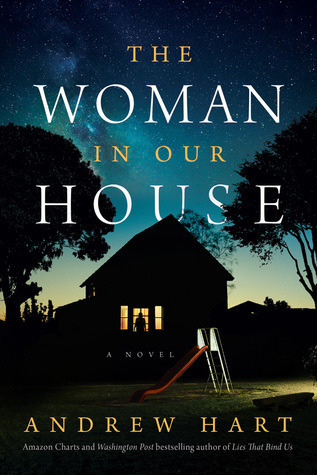 The Woman In Our House comes out on 18 June 2019. 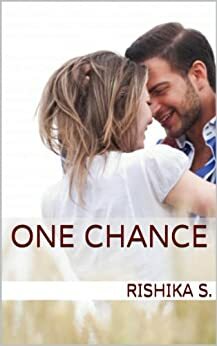 Anna Klein and her husband decide to hire a live-in nanny when she decides to return to work as a literary agent after her second child turns a little over 6 months old. Oaklynn Durst arrives after numerous interviews and with stellar references. The children take to her immediately, leaving Anna feeling a little unwanted even as she remains thankful for Oaklynn and being able to go back to work. But when the children begin suffering from sudden illnesses and bruises, Anna begins to worry that Oaklynn may not be what she seems. But are her own insecurities driving her suspicion, or did she really put her children and even herself and her house under the care of a lying, scheming woman who wouldn’t hesitate to hurt any of them? Characterization, especially that of the main protagonist, Anna Klien, was really well done. She wasn’t over the top or too self-pitying. In fact, she was just the right amount of neurotic and self-aware to make it easy to empathize with her, and even associate with her in many places. Similar to Tell Me A Secret, the men were only present when convenient. Even Anna’s husband is more ‘her husband’ than ‘a supporting character’. Given that he actually had a role to play in the book, there should have been a little more focus on him. Anyone who enjoys a good suspense read, because it is surely that while definitely not being a ‘mess with your mind’ style psychological thriller. Those who like Mary Higgins Clark’s older books would probably like this one. Anyone who doesn’t like books that focus on women as central characters. The women in this book aren’t unrealistic in all action and thought in this book, but it’s still predominantly a woman-centric story. Reminding yourself that the world still has those people who don’t exactly believe in the “live and let live” ideology, and that things aren’t always as they seem. Thanks for stopping by and reading my book review. Say Hi! in the comments below! A big thanks to the author who reached out and asked me to review her work! I received this book in exchange for an honest review. This is the debut novella (wouldn’t call it a novel at 73 pages) of techie turned content writer turned creative writer, Chirasree Bose. Blurb: Aveesh Mathur is shocked when he lays eyes on Spreeha, the new girl in his office whom everyone is lusting after. He cannot deny that she’s desirable, but she resembles someone from Aveesh’s past, a past he doesn’t want uncovered. Spreeha, who lives near Aveesh, already has a man in her life but is attracted to Aveesh because he resembles someone from her own past. As they are pulled inexplicably toward each other, Aveesh and Spreeha’s actions set off a chain of events that threaten all their relationships, and even their lives. The social element that the book touches upon. The characterization was very weak and the characters lacked depth. Too much abstract prose where it wasn’t required; it didn’t add the depth that may have been the aim. A good basic story, but very weak implementation; it seemed like I was reading a long essay rather than a fleshed out story. And the basic premise did have enough depth for the story to have been more fleshed out. Felt more like a work-in-progress story than an actual, completed book. It also needs a lot of work on the POV; it’s written in the first person and the sudden changes across abrupt chapters made it difficult to follow the character from whose perspective the section was written. I wouldn’t actively recommend this book until it was further worked upon to flow better, be more complete, and went through a thorough, professional edit. Anyone who likes stories that are complete and rounded, and does not like abrupt chapters strung together. If at all, then for the social message that’s at the root of the book. Overall, I think Bose has good vision and creativity. Translating it into a complete book (as all aspiring and existing authors have admitted) is about much more than just having a story idea. A good amount of time and effort investment could take Bose’s vision into a complete book that far surpasses Done With Her. I didn’t review a book called Charming Creepiness… just trying out a new heading style! Rebecca, which I’d read ages ago, made me a fan of Du Maurier’s modern-classic style. There’s just something about the way she weaves classical charm and dark psychology that makes for incredibly compelling reads. And if you go into Jamaica Inn expecting that, it definitely does not disappoint. Mary Yellan honors her mother’s dying request and moves with her few belongings to stay with her Aunt Patience, who is married to the landlord of Jamaica Inn. She’s never met Joss Merlyn, her uncle by marriage, until she ignores the warning from the coach-driver and reaches the forbidding, run-down inn. She finds her Aunt, a shell of her former, happy self, who cowers behind her hulk of a brooding husband. Mary stays only because she does not wish to leave her aunt, and is determined to get them both away from Joss Merlyn and Jamaica Inn. 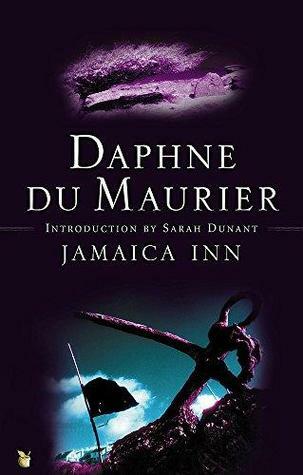 But as weeks and months pass, Mary realizes that there are strange, sinister goings-on at Jamaica Inn. Can she find a way to get her aunt and herself to safety before she loses herself like her aunt did? Or will her uncle succeed in breaking her will… and taking her life? The style of the book that somehow manages to be charming while also evoking goosebumps. Mary Yellan’s character, which was very self-aware, embracing her strength and weaknesses. This stands out even more because of the era in which this book was written. At times, the style can become a little too archaic to follow easily. Had me wishing I could long-press any button to see its archaic meaning (I couldn’t because I was reading a paperback and not my Kindle). Anyone who already loves classics, and anyone who wants to try classics but is hesitant. This is a great place to start exploring the genre. And anyone who likes mysteries and thrillers. Probably anyone who detests classics. Its beautiful mixture of narrative that’s just detailed enough to be engaging, characters that are realistic, engaging story, effective but not overplayed creepiness factor, and charming storytelling. Got some classics or modern classics to recommend? I’d love to add some to my TBR so do drop your suggestions, or anything else you’d like to share, in the comments below. And thanks for stopping by! A shoutout to NetGalley for a free ARC of this book. Reading and reviewing it has been long pending from my end; made longer by the fact that I tried super-duper hard, but just couldn’t go through with reading the entire thing. It’s now one of the entries on my scarcely populated Did-Not-Finish list. But… reviewed it must be, even if most of what I say is based on the 30% I did end up reading. So, here goes! Will is a thirty-something old man with brown eyes and brown hair, who never ages and is visible in multiple photographs next to almost every famous person across the world and across all time. He’s being chased by some Vatican emissary (don’t know why) and generally goes around being kind and gentle, while also being a super famous (but unidentifiable) author and painter. Jillian, of some tabloid-fame, discovers the fact that he’s been around forever, and then something happens over the span of 48 hours right after New Year’s Eve that brings everyone in the story (mainly the people that Will has somehow been in touch with) together for a traumatic experience they never forget. Oh, and something evil lurks in the shadows (apparently). Will – a bit over the top maybe, but likable to some extent. Nothing to write home (or on this blog) about. An immense amount of buildup from Page 1, but absolutely no movement, at least until 30% in (or even 40% in, as seen from the quick page-flipping I did). I don’t know… maybe people who can cook, work, clean, raise a child, answer calls, walk the dog, and undertake some personal grooming at the same time, because that’s how good at multi-tasking you need to be to follow the sheer number of storylines and characters. Ummm… checking to see if you’re still as sharp as you’ve always been? Loved The Man of Legends or hated it? Let me know in the comments below! Hey there! Starting the year off with some David Baldacci and a whole new style of review! Read on and let me know in the comments what other books you’d like to see dissected this way (or just say Hi!). Oh and… Happy, Happy New Year! War hero and brilliant US Army CID investigator, John Puller, gets sent on a solo mission to investigate four gruesome murders in the remote town of Drake, West Virginia. He works with local Police Chief, Samantha Cole, delving into a mystery that only deepens with every answer. Now, it’s up to Puller and Cole to solve the puzzle behind the increasing number of murders in a case that has greater implications and risks than either of them could have ever imagined. Zero Day is the first book of Baldacci’s John Puller series. It would be best to start from here to get a good grasp of Puller, his background, and what makes him tick. John Puller – the book is all about him, and his hard as nails but ideal within character and personality make that focus well worth it. Baldacci does not shy away from showcasing his main character’s strengths but also shows his vulnerability, which makes him a lot easier to relate with. Samantha Cole’s character gets a bit too subdued over the course of the book, losing a lot of its edge in Puller’s shadow. Anyone who gets queasy easily, because there is a good chunk of violence in Zero Day. Want me to include any additional elements in this new review format? Let me know in the comments below! An isolated garden. Beautiful trees and flowers. And a collection of butterflies – kidnapped women intricately tattooed to resemble their namesakes and whose beauty is captured and preserved. Overseeing all of this is The Gardener. When the FBI rescues the girls, they find themselves struggling to find answers. The girls are too damaged to speak or share what they’ve been through. 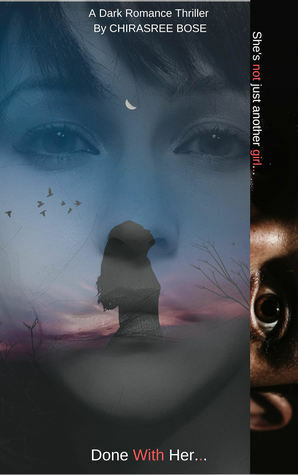 Only one girl stands apart – Maya. Maya begins to take FBI agents Victor Hanoverian and Brandon Eddison through her story, and the story of many others interwoven with hers. More disturbing than they could have ever imagined, the story that Maya tells them takes them into the horrors of the Garden and The Gardener’s mind. Yet, something is missing, something is being held back. Maya is hiding something. Agent Hanoverian needs to get to the truth. Because uncovering Maya’s secret, or failing to do so, will affect the fate of every girl they rescued and the man responsible for their horror. A disturbing book with a good storyline, but that fails to pack a real punch. One thing is for sure – The Butterfly Garden isn’t a book that everyone will be able to digest. The way the book plays out could be enough to make people extremely uncomfortable. The events and the psyche of its characters are quite disturbing and occasionally even make your skin crawl. One good thing though, is that it isn’t as bad as it could have been. Hutchison skips over the most graphic details, choosing instead to focus on the events leading up to it, and after it, and how it made the characters involved, feel. And that’s done quite well, saving readers from the worst of it, but still showcasing enough of the fallout to evoke some empathy, sympathy, and disturbance. The story and the premise itself are just about okay. I mean, it’s interesting enough to create a story where a man has an entire garden of women whose beauty is preserved in death. But the story has a lot of plotholes. Like, how did no one notice something wrong for so many years? Or why didn’t the captured girls fight back when they had the clear advantage of numbers? There are many other such plot-points which, I felt, should have been explored more to make the story more believable. If the end result would have been what the story said it was anyway, that would’ve been fine. But the question of What if would have been solved. Hutchison tries to offer that solution through conversation. For instance, she does showcase how terrified the girls were of making any attempt at overthrowing their kidnapper that would be ‘almost’ successful. The result of the ‘almost’ aspect was certain death. Which is why no one ever tries anything. But showing this would have made it more rounded as a story, instead of just mentioning it in passing as Hutchison has done. The style of the book is definitely unique. It switches between the third person – when the detectives are interviewing Maya, and the first person – when Maya relates her own story. The contrasting approaches actually made a pretty good combination, leaving you turning page after page. Characterization was good, although a bit over the top in some cases. The detectives are very likable and I’m keen to follow their story arcs over the next few books in the series (apparently, they’re related, but can all be read standalone). The two biggest problems with The Butterfly Garden were that (a) it didn’t actually become as creepy and psychologically troubling as it could have been (which is something people look for in the genre of psychological thriller or horror), and (b) a large part of the plot is anticlimactic. I started this book expecting it to be one of those that burns disturbing images into your head and keeps you revisiting them for a while, especially in your nightmares. That happened to me with John Case’s Murder Artist. I couldn’t sleep for days after reading that one because it was incredibly disturbing, not from a horror perspective, but from the extent of “how far can people go”. A lot of people may have felt the same with The Butterfly Garden. But the book gave me half a sleepless night before I began to forget about it. What remained are those detectives, and I’d like to follow the series for them and the fact that Hutchison may not be the best in the psychological thriller genre, but her books do follow an interesting theme. Drop a comment below to share your thoughts on The Butterfly Garden or recommend a good psychological thriller. And thanks for stopping by! Anne and Marco Conti have a happy marriage and a beautiful six-month-old baby girl, Cora. They’re invited to the home of the couple whose home is adjacent to theirs (and attached to theirs by a shared wall) for dinner. When the babysitter cancels, they decide to go anyway, choosing to carry their baby monitor with them and taking turns to check on baby Cora every half hour. But the house is deathly silent when they finally return for the night, a mere 45 minutes after they’ve checked on Cora last. When Anne and Marco rush to her room, their worst fears are realized. Her crib is empty. Cora is gone. The police are called and Detective Rasbach is determined not to leave any stone unturned. When his suspicions land on Anne and Marco, the strain in the marriage that the couple had tried desperately to ignore threatens to overwhelm them. Soon, old secrets are forced into the open, secrets that will change the very perception they have of one another. As Anne and Marco’s relationship threatens to unravel, another question hangs over them – Who has taken Cora and where is she now? 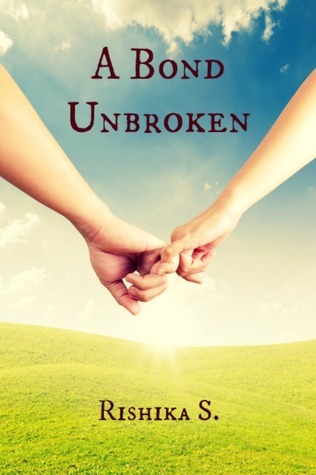 Can they overcome their own problems in time to find their daughter? Or is baby Cora dead already? A book with lots of twists and turns, many of which are unexpected, and a storyline that’s engaging enough, but with annoying-as-hell characters and an irritating point-of-view of writing. A while ago, I’d read a book called The Neighbor by Joseph Souza. That was a really annoying book and I remember not liking it at all (my full review of The Neighbor is here). The Couple Next Door gives off more or less the same vibes as The Neighbor. What the book has going for it is an intricately woven storyline that’s got a lot of unexpected (and some predictable) twists. The suspense and air of mystery are good. It also moves fast (enough). But what renders a lot of that pointless is that you just don’t care about any of the characters or associate with them. Sure, you want to know what happened, but that’s more for the sake of the mystery than for your desire that the characters get closure. Most of the characters spend a lot of time just whining. I’m sure that if life ever presents you with a situation as terrible as your child being abducted, you’d be upset. And rightfully so. But somehow their grief comes across more as whining instead of anything that can garner empathy and sympathy from the reader. Also, the tenses in which the book is written is just incredibly annoying. I’ve never been a big fan of the first person POV, but have learned to like it over time, especially with so many authors now using it. But this has some present continuous thing going on, with the past tense just thrown in randomly, and that was incredibly annoying to read. Also, Lapena keeps moving between POVs of different characters in the same segment, which is not something that a lot of authors can achieve successfully, and Lapena sure doesn’t. The only redeeming thing about this book is that it has a good storyline. But is that enough to recommend the book? I’d say read The Couple Next Door only if you like books like The Neighbor or The Wife Between Us (haven’t read the latter but I know the story). If you’re looking for an engaging thriller, skip The Couple Next Door and pick up something else. It checks off a lot of boxes on plot, but skips a lot more on presentation, characterization, and reader association. As a result, it’s fine as a mystery, but with no elements that make it an engaging, thrilling read that you’ll remember for days, weeks, or months to come. Thanks for stopping by to read this review. Drop a comment below to share your thoughts and recommendations!